Save time with our prefinished mouldings, no more sanding, staining or finishing. You can install them right out of the box. Contour molding exclusively designed to overlap edges for the Expression Toronto decorative wall panels. Whether you choose Boston, Denver, Quibec, Montrial, Toronto, Anchorage or Seattle from our Expression collection, you'll LOVE the destination! T-moulding seamlessly bridges the gap between two floors of equal heights. The durable finish coordinates with the Heritage Mill Dark Gunstock Birch Hardwood Flooring.. Molding is made of solid wood with a coordinating stain. This moulding is proudly crafted in the U.S.A. from wood grown and responsibly harvested in the U.S.A.
Quarter round is used to cover expansion space at wall base and other vertical surfaces. The finish matches our real hardwood floors. This moulding is proudly crafted in the U.S.A. from wood grown and responsibly harvested in the U.S.A.
Quarter round is used to cover expansion space at wall base and other vertical surfaces. The durable finish coordinates with our QEP by Amorim Carmine and Umber Cork Flooring. Molding is made of solid wood with coordinating stain (no pattern). 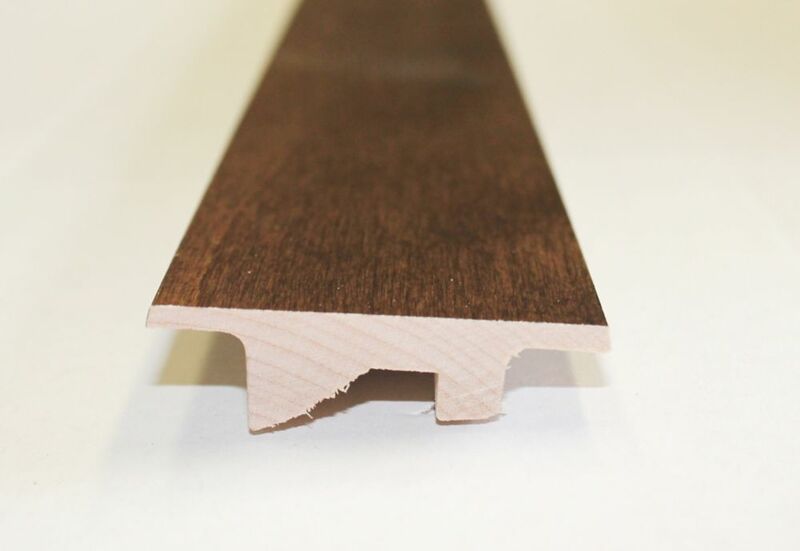 This moulding is proudly crafted in the U.S.A. from wood grown and responsibly harvested in the U.S.A.
Birch Balsamic Transition Molding 45'' Save time with our prefinished mouldings, no more sanding, staining or finishing. You can install them right out of the box.